MANILA – As the first quarter of the year ends with government employees still not receiving their mandated wage hike, the Confederation for Unity, Recognition and Advancement of Government Employees (COURAGE) called on lawmakers to end the delay in the budget as soon as possible. They also urged the public, particularly voters, to remember the names and party affiliation of politicians and government officials causing the delay. 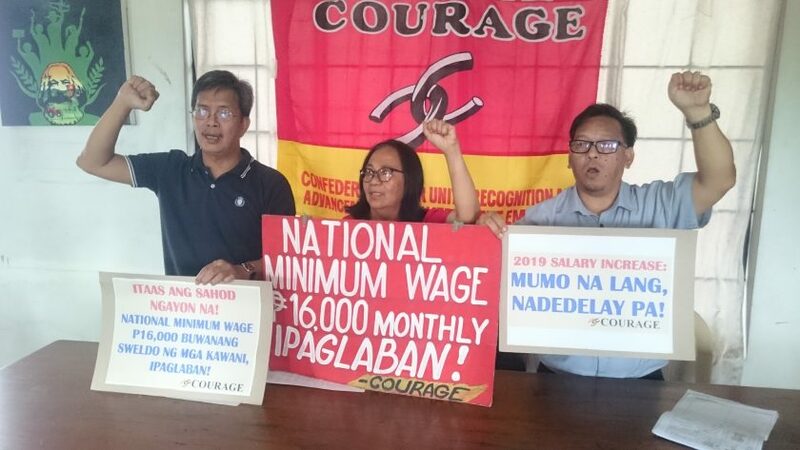 They said the delay in their salary increase is not just a source of concern to government employees, “it is a reminder that those responsible for the delay are not too overly concerned with the delivery of public service to the people,” said Courage National Council member Erwin Lanuza. 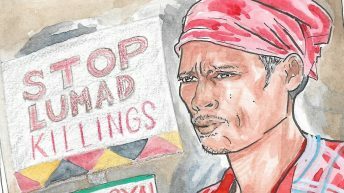 “We are the government machinery for ensuring its functions and services, yet, we ourselves don’t have sufficient pay, and we are experiencing hunger,” Lanuza explained. As president of the association of local government employees, Lanuza sees everyday the way local government employees are discriminated against. 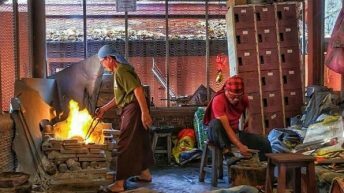 Often paid lower than what they decry as the already low wages of other government employees from national agencies and offices, they, too, have to contend with the delay in the wage hike mandated by the Salary Standardization Law 4. Even the wage hikes mandated under the Salary Standardization Law have failed to correct the disparity in wages of local government in poorer districts. The SSL-4 based their hike on the local government’s classification, meaning the poorer districts get lower budget and correspondingly lower wages. 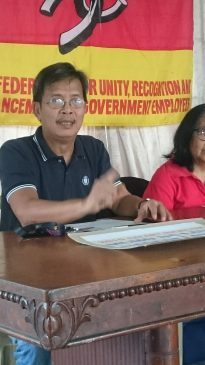 “This final tranche (of wage hike under SSL-4) like the others before it is a pittance, but the government has up to now failed to start implementing it for employees,” said Manuel Baclagon, national president of employees’ union in the Department of Social Welfare and Development (DSWD). The COURAGE blames the delay in “the bickering of lawmakers and budget department over the corruption budget.” Aside from the workers’ wages, the delivery of other social services is also adversely affected by the delay. “It is sad because they are prioritizing the ‘squabble over the pork-laden budget’ rather than ensuring that government is providing fast and reliable public services,” Baclagon said. Manuel Baclagon, national president of employees’ union in the Department of Social Welfare and Development (DSWD). 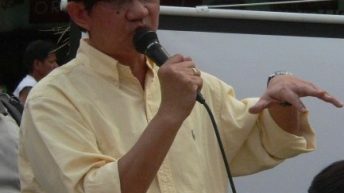 Given that key officials of the Duterte administration including the president himself are campaigning for various electoral positions, Courage said the voters should measure their pitch and promises against their concrete actions with regard to budget and government pay. “Before they can promise voters anything, they should be able to take care of their employees in government and stop the squabble for pork,” Lanuza said of the Duterte administration bets and allies. 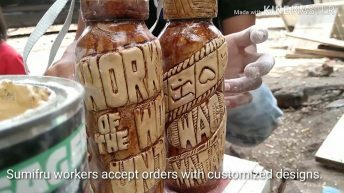 The Department of Social Welfare and Development (DSWD) provides small grants to the poor who exhibited willingness and desire to learn a new trade or engage in a small livelihood project. Unlike a doleout, it expects the recipient to actually improve their economic situation and as such, not everybody can avail of the grant in a snap. “There are required preparations before the DSWD can decide whether to approve the grant application of those in need or not,” Baclagon told Bulatlat. This partly explains why the DSWD cannot just easily disburse or spend that part of its budget. But the way the union of its employees explain it, that exercise of due diligence was penalized when the Duterte administration cited it as reason for lowering the budget for this program. From P5-billion in 2018, it proposed only P1.7-billion for this year. As a result, the budget available for grants decreased, and so did the number of employees the department can pay to work on processing and validating the requests for this grant. Baclagon said their employees and services connected to this program are caught in a vicious cycle to the detriment of public service. As the budget was lowered, so was the number of employees, resulting in reduced capacities and resulting furthermore to inabilities to disburse the budget. This results to their budget being reduced again. 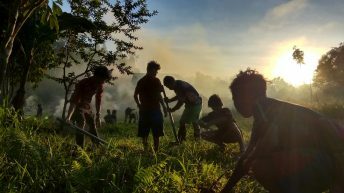 Baclagon said the grant is more for increasing livelihood-generating activities rather than being a doleout like the Pantawid Pamilya. At the same time, it is not like pork which the lawmakers can dictate or request them to disburse to their favored persons or groups. 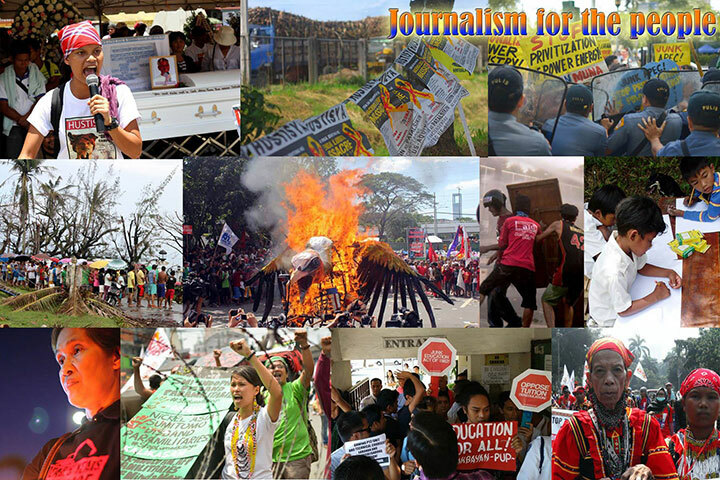 Since January this year, the DSWD has been forced to lay off 1,838 employees administering the program. From more than 3,000 employees in they are now down to just over 500 employees. The officers of Courage appealed to the public to help them rouse the Duterte administration to see the sorry plight of the employees within its own backyard. 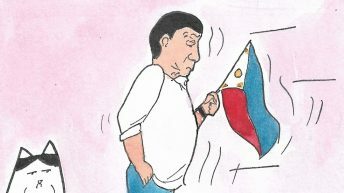 “While the Duterte administration is being racked by conflicts over who should get bigger pork, the government employees have to continue work and public services. They should also receive help,” Deblois said. In Congress, Bayan Muna Partylist. has filed House Bill 7197 proposing a P16,000 national minimum wage in the public sector. At present, the current minimum wage of public sector employees is P10,510, an amount that Courage said is clearly not enough to provide for a decent living. Want to read stories like this? Help us keep writing on issues like this.